Year: 1890 Item #: 39 Views: 5,354 Comments: No Comments. 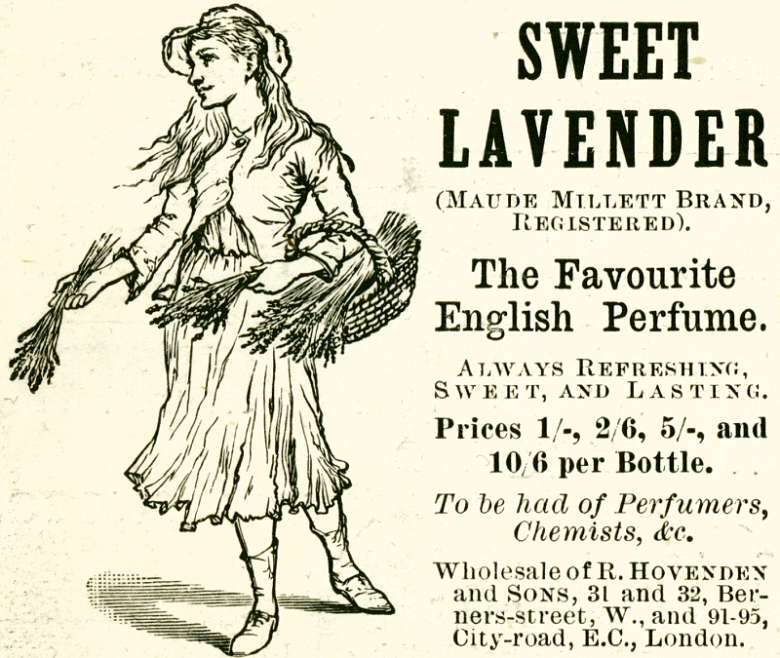 Sweet Lavender (Maude Millett Brand, Registered) - The Favourite English Perfume. Always refreshing, sweet and lasting.